​The Yang Lab works on plant systematics and evolution. We combine field and collection-based approaches with phylogenetics, transcriptomics, and genomics to reconstruct species relationships and to study polyploidy, reticulate evolution, and gene families involved in secondary metabolites, plant carnivory, and stress tolerance. 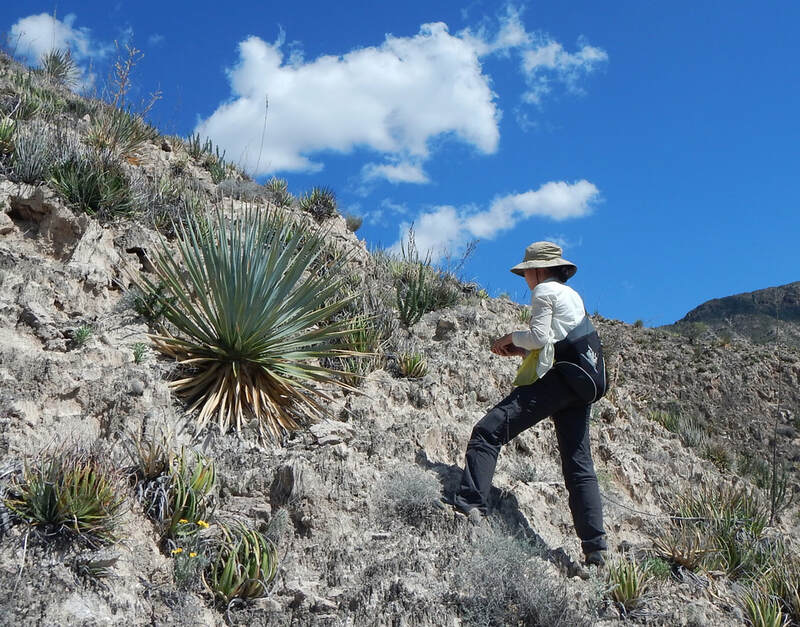 Mar 2019: Alexandra Crum will join the lab Fall 2019 as a Ph.D. student working on combining plant phylogenomics with ethnobotany. Alex is a Minnesota native. She is currently finishing up her master's degree on plant systematics with Dr. Tim Evans at the Grand Valley State University, MI. Welcome, Alex! Mar 2019: Rebekah Mohn is awarded a Fulbright Scholarship to visit Australia for 10 months for her dissertation research on Drosera. ​She will be hosted by Dr. Adam Cross at the Curtin University in Australia. Congratulations! Oct 2018: Delphine Tefarikis (from Prof. Gudrun Kadereit's lab) is visiting from Johannes Gutenberg University Mainz, Germany. She is working with Diego Morales on reticulate evolution and C4 photosynthesis in Chenopods. Oct 2018: Ya Yang participated in the ADBC summit in Gainesville, FL, to kick start the Endless Form TCN project digitizing specimens from families with specialized adaptations such as carnivory, succulence, epiphytes etc. Sep 2018: Diego Morales and Ya Yang visited Mexico City for the Caryophyllales 2018 meeting, each gave a talk, and co-taught a phylogenomic workshop with Mike Moore. Jul 2018: We had a blast at the Botany meeting in Rochester, MN with three talks (Mohn, Morales, and Yang) and one poster (Chen). Jul 2018: Rebekah Mohn had a busy summer. She collected Drosera in MT and ID right after finishing her OTS Tropical Plant Systematics course in Costa Rica. Jun 2018: Diego Morales and Lingyun Chen presented their work at the Society of Systematic Biologists meeting in Columbus OH. Jun 2018: Rebekah Mohn won two awards from the Botanical Society of America: the Triarch Botanical Images Travel Award and the Karling Award that supports the best graduate student research proposal. Congrats again! May 2018: Rebekah Mohn won the American Society of Plant Taxonomists' t-shirt contest with a beautiful drawing of the twinflower (Linnaea borealis). She also won the Bell Museum Natural History Awards to support her summer field research. With that she just finished a week-long trip collecting Drosera in the east coast. Congratulations! Mar 2018: Rebekah Mohn visited University of Michigan over the spring break to work with Stephen Smith on niche evolution in Drosera and participated in the Early Career Scientists Symposium. Jan 2018: Lab manager Yinyin Huang is accepted by her dream PharmD program at University of Minnesota, starting Fall 2018. Congratulations!